Jerzy Radziwilowicz, the actor whom we will always remember as Maciek Birkut in Wajda’s Man of Marble and Man of Iron, plays the leading role in The Story of Marie and Julien directed by Jacques Rivette. The SIFF short introduction to the movie praises Mr. Radziwilowicz and Emmanuelle Beart for exceptional lead performances in this accomplished film. Seattle International Film Festival runs May 20 – June 13, 2004. 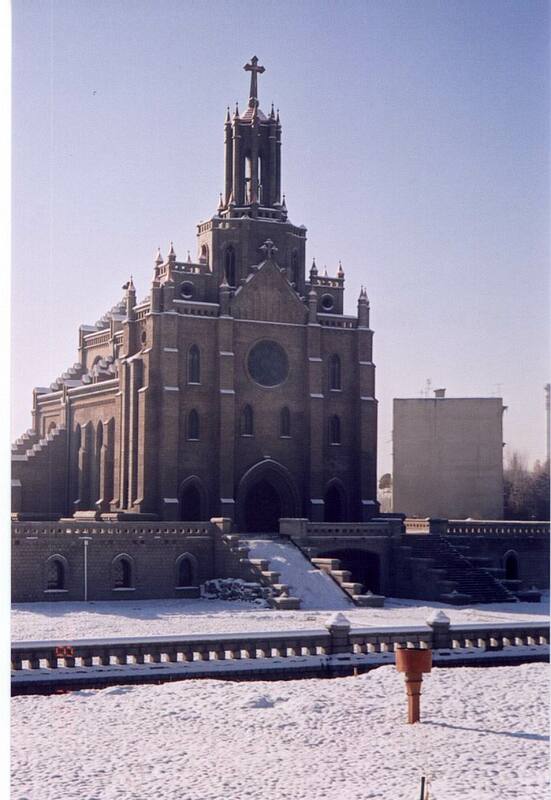 In year 2000 - Services resumed in the renovated Polish Church in Tashkent The exhibition Poles in Central Asia: Lives, Fates, Traces presents fates of Poles migrating or deported to Central Asia since mid-19th century, with a special focus on Stalin times and on gen. Anders and his army. It has been prepared by Ewa & Krzysztof Poraj-Kuczewski based on private archives of Dr. Olga Medvedeva and is supported by Polish Home Foundation. Dr. Olga Medvedeva is a researcher, translator and a great friend of Poland based in Vancouver, BC. Since 2000, she’s been busy at newly accessible post-Soviet archives researching fates of Poles in Central Asia in 19c & 20c. Where: at the Polish Church, when the Parish Hall is open, free admission. 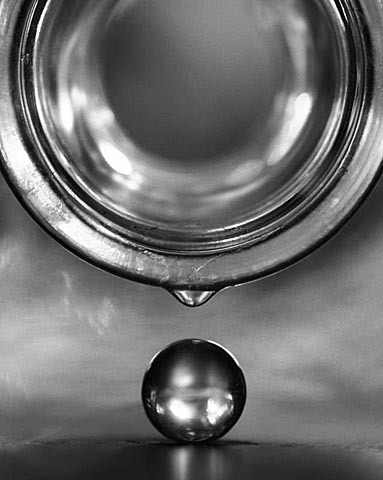 Jagoda Sondej is a local artist whose photographs are on display at Jerzy's Coffee during the month of May. The exhibition features some 20 color as well as black and white photographs and represents her work from the last 5 years. Jagoda received a diploma from New York Institute of Photography and studied digital imaging and photography at College of DuPage, Illinois. Besides doing fine art photography, she runs a professional restoration and portrait studio, Yagoda Foto, in Kent. Organized by Jerzy’s and the Artist. Where: Jerzy's Coffee, 16727 Redmond Way (behind Exxon at the split with Cleveland St coming from 520), in Redmond; the exhibition is available every day during Jerzy’s business hours, (425) 702-8575; admission free; admission to the Artist’s NIght is also free. This concert at the Polish Home will feature selected arias and scenes from two famous operas: Aleko by Sergei Rachmaninoff and Eugene Onegin by Pyotr Tchaikovsky. The Concert Opera of Seattle and music director & conductor Alexei Girsch present soprano Anna Kazakova, mezzo soprano Olga Kargopoltseva, tenor Bernie Kwiram, baritone Garry Aganesyants and bass Craig Grayson with Tina Kuratashvili on piano in this special evening. The restaurant and the bar at the Polish Home will be open from 2:30 pm to 7 pm. The Polish Studies Endowment Fund Committee invites everybody to a public meeting to discuss how to support creating an Endowment Chair for Polish Studies at the University of Washington in Seattle. The book to be discussed at the next meeting is a new bestseller Co z ta Polska by Tomasz Lis, Wyd. Rosner i Wsp., 2003. The book proved to be controversial and hotly debated and discusses the current political and economical situation of Poland. As usual the book of the month can be borrowed from the club members as per contacts below. New members are always welcome at club meetings. Where: Jerzy's Coffee, 16727 Redmond Way (behind Exxon at the split with Cleveland St coming from 520), in Redmond; admission free, in Polish. Cdr. Wilhelm Pacewicz, a WWII veteran very well known and respected in our community died on May 13, 2004 at the age of 90. 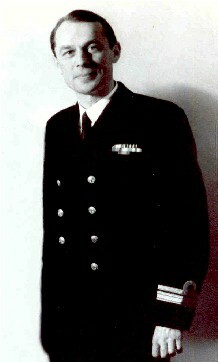 Mr. Pacewicz graduated from the Navy Academy in Torun, Poland in 1934. After Sept 1939 he found his way to the Polish Navy based in Great Britain and served on destroyers ORP Krakowiak and ORP Slazak. He participated in the battle of Narvik, the attack on Lofoten Isl. and in Dieppe Landing Operation. He was decorated for bravery with Cross of Valor (twice) and with other medals. Cdr. Pacewicz is survived by his daughter Krystyna, his stepson Thomas and his 2 grandchildren Andra & Elizabeth. Polish accents include: traditional palm making for the Palm Sunday by Aniela Sidorska on May 15 at 1 pm and the Dopierala family concert on May 16. 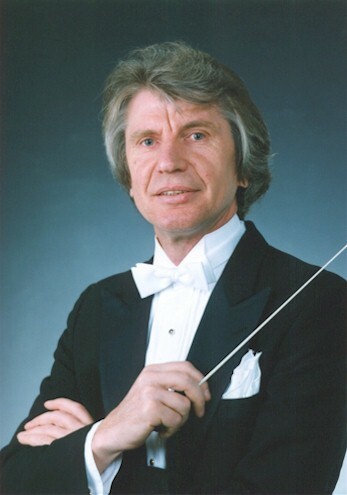 Kazimierz Poznanski is a professor of Jackson School of International Studies, UW. His interest in transitional, post-communist economies have been subject to several of his lectures and books. This lecture will focus on economies of Eastern Europe and Uzbekistan. Kazimierz Poznanski is a professor of Jackson School of International Studies. His talk, The Politics of No-Politics: Second Phase of Poland's Transition will focus on interplay of politics and economy in Poland as a scene of quickly changing political configurations. What follows is a clear disconnect between the rotation of ruling parties and the needs of national economy. Roots of this dysfunctional politics can be found in the underlying economic system that had emerged from post-1989 reforms. BOB or (Between Oder and Bug), is an organization that combines UW's students, alumni, faculty and community members interested in all matters related to Central and Eastern Europe. Music of Remembrance presents the world premiere of Thomas Pasatieri’s powerful new work Letter to Warsaw, featuring soprano Jane Eaglen and conductor Gerard Schwarz. This 70-minute work for chamber orchestra and soprano is based on six poems by Pola Braun, an acclaimed cabaret songwriter and performer in prewar Poland. For this extraordinary work, composer Pasatieri used texts written by Braun in the Warsaw Ghetto and at the Majdanek concentration camp, where she perished. 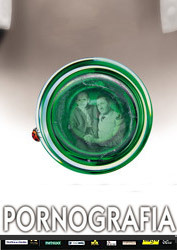 This great movie is an adaptation of a novel by Witold Gombrowicz. The director created the movie to his own script, introducing new characters and plot twists, trying to preserve Gombrowicz's dark spirit. This drama of love, dangerous relationships, manipulation and murder is set at a rural estate in 1943 Poland. 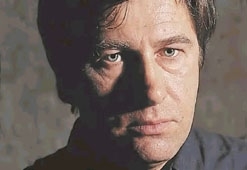 The movie received several Eagles (Polish Oscars) for 2004, among them Best Director, Best Cinematography, Best Supporting Actor and Best Music. It also was Poland's entry to 2004 Oscars. Brought to you by Seattle-Gdynia Sister City Association. Wiktor Siminski (1897-1966) was a Pole who was a veteran of the Silesian Uprisings and an artist who survived a Nazi camp at Sachsenhausen. The exhibition about his life and art as well as about a documentary movie project, ‘Wiktor: the Art of Survival’, will be on display at the Polish Parish in Seattle. It shows pictures of Wiktor’s art and as well as historical photos from the Sachsenhausen camp and from the period. The exhibition has been organized by Teresa Malinowski and Ryszard Kott and is supported by Polish Home Foundation. Radio Wisla is a new Polish language station covering Seattle and Puget Sound from Everett to Tacoma, broadcasting from Bellevue on AM 1150, every Thursday at 7 pm for an hour, repeated the following Saturday at noon. The station will feature Polish music, news, poetry, discussions, sports, etc. 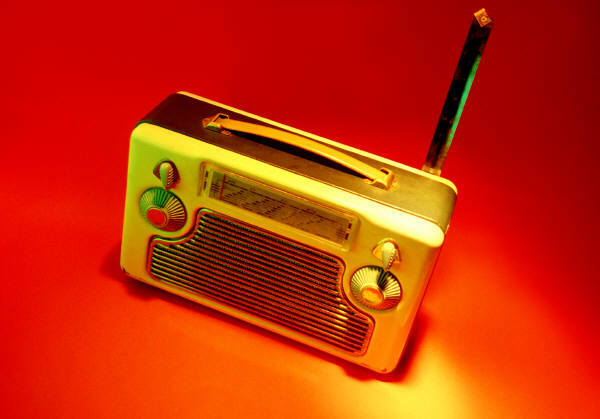 Radio Wisla is incorporated as a non-profit organization and asks for donations through Polish Home Foundation (tax-deductible) or directly to the Radio (non-deductible). Milada Vachudova is a professor of political science at the University of North Carolina Chapel Hill. Her book, Europe Undivided: Democracy, Leverage and Integration After Communism, will be published by Oxford University Press in 2004. In her talk she will focus on enlargement of the European Union and changes and benefits brought by the process to the EU itself, in the new members such as Poland, Czech Rep or Hungary as well as to countries such as Romania or Bulgaria. Julia and Stanislaw Pagacz are researchers from Poland who made four trips to Lake Baikal region and authored two guide books and a photo-album Siberia: In the Baikal land of the Buryats. Their rich slide presentation will show beautiful landscape of the lake and surrounding mountains, unique flora & fauna of the region and will focus on Buryat people and their culture, including their temples and monasteries. 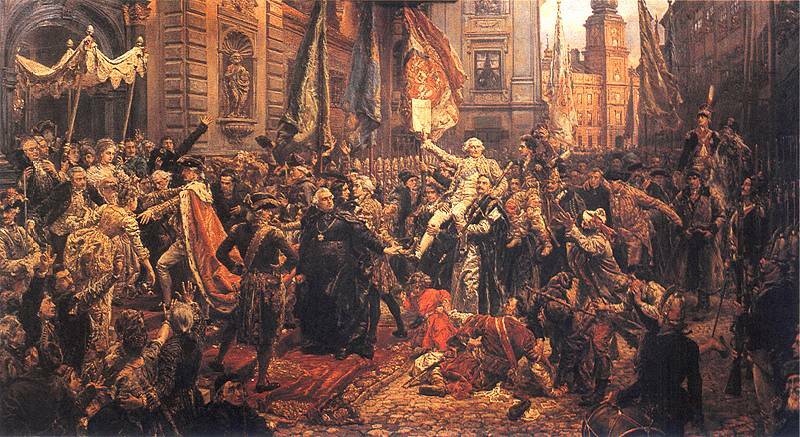 Polish Home invites to a celebration of the anniversary of the first Polish constitution, enacted on the 3rd of May, 1791. The celebration will feature performances by Polish Scout & Polish School groups and also by the newly formed Polish Choir. The restaurant and bar will be open for the occasion. The ‘Third of May’ dance concert became one of the most exciting events of the Polish Community in Portland. Traditionally, the Sobotka Dance Group, with the Polish School presents a new dance program prepared in the school year. The event is rather a feast of joy and not an official ceremony. All are welcome.